Would you like to know the fastest way to take several strokes off your game? Spend two hours in a bunker. Two hours is all it takes to raise yourself out of the fear-and-doubt group (about 90 percent of all golfers) to the point where you can play from sand with confidence. In truth, bunker play isn't that difficult. As Walter Hagen said, it's the only shot where you don't have to hit the ball. But the best way to learn is to teach yourself, by experimenting with varying ball positions, degrees of openness in your clubface and shaft, and lengths and paces of swing. Each combination of these elements moves the sand - and thus your ball - in a different way. 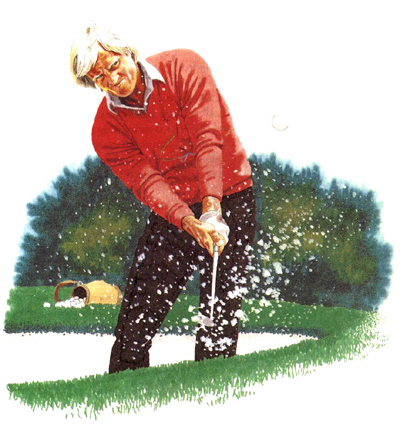 In the course of a two-hour session you'll arrive at an understanding of this bunker-play physics, and in the process you'll discover how to play several different shots.